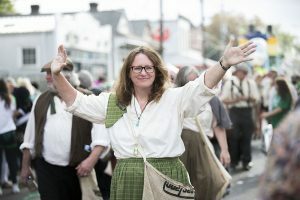 On Saturday, the annual Irish Channel Parade rolled Uptown. 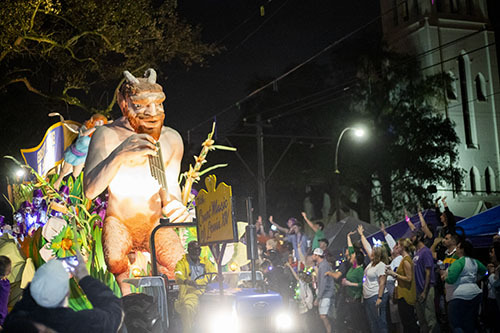 This year, the parade returned to its original route, following the completion of construction on Louisiana avenue. 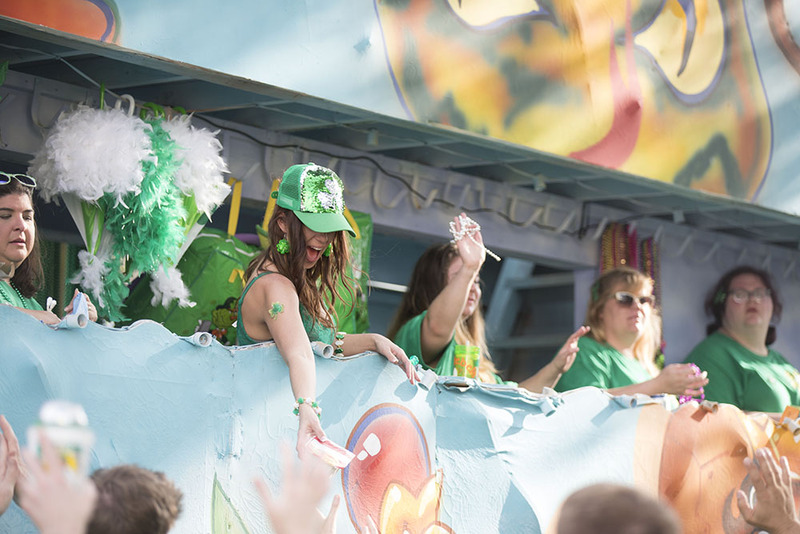 It seems like the Carnival parades just passed by, and it’s time to celebrate St. Patrick’s Day with the Irish Channel Parade. 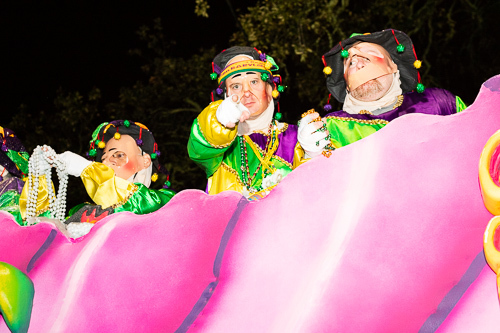 On Saturday, March 16, cabbages, kisses and green bling will be flying along the parade route. 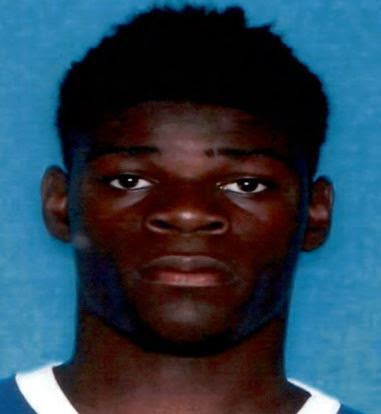 NOPD arrested a teen last week on the parade route for armed robbery and carrying a firearm on a parade route. On Wednesday, Feb. 27, about 8:17 p.m. Seventh District officers patroling the parade route at St. Charles Avenue and St. Mary Street saw a man known to be wanted by the Second District for an armed robbery that occurred on Jan. 25 in the 2600 block of Delachaise Street. 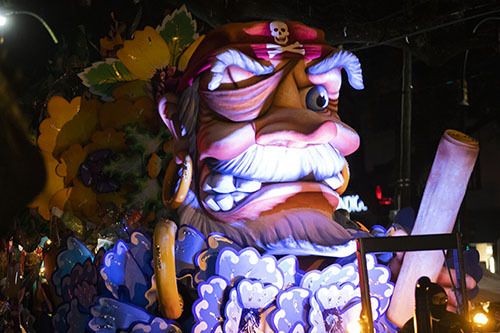 The sun is expected to shine over Mardi Gras, but costumes will need to an extra layer to ward off a chill. The National Weather Service is predicting temperatures in the low 50s. 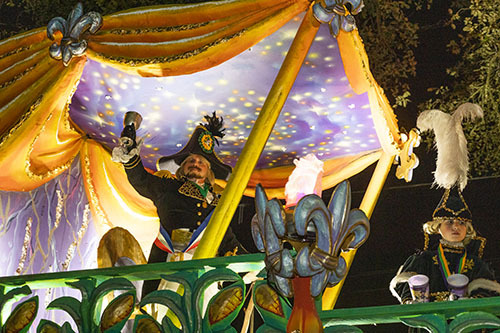 Proteus, among the city’s oldest Mardi Gras krewe dating back to 1882, explored the past for their 137th parade. 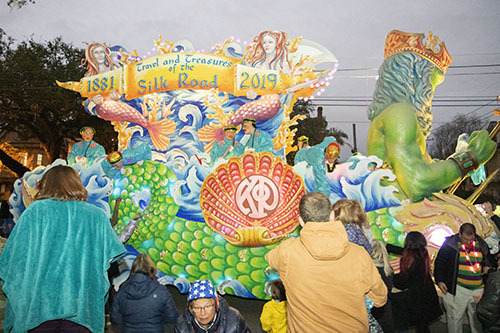 The floats depicted The Silk Road — the ancient trade route connecting east to west. 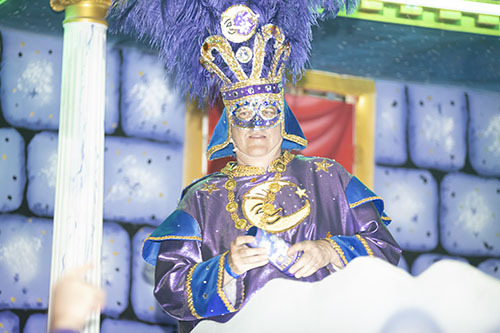 The Krewe of Morpheus rolled with the theme “Dream Destinations” on Friday, March 1. 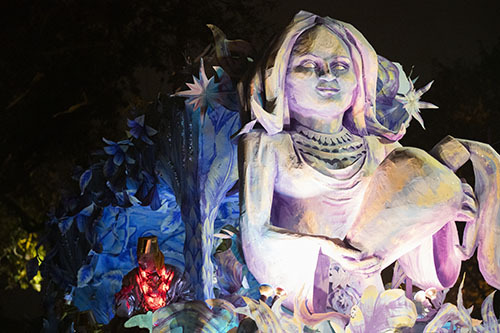 Morpheus, named from the Greek god of dreams, celebrates illusion and fantasy. 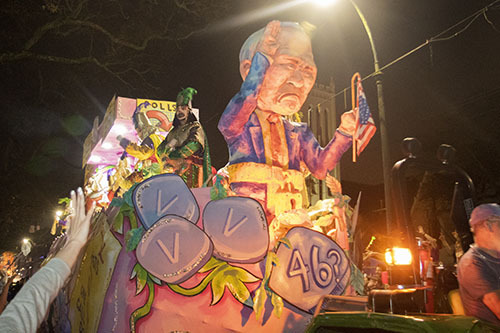 On Friday, Krewe D’Etat rolled with the theme “Paging Dr. Etat,” taking their usual satirical stabs at national and local cultural and political topics. These included the expansion of Louis Armstrong Airport and the growing field of Democratic candidates for president in the 2020 election. 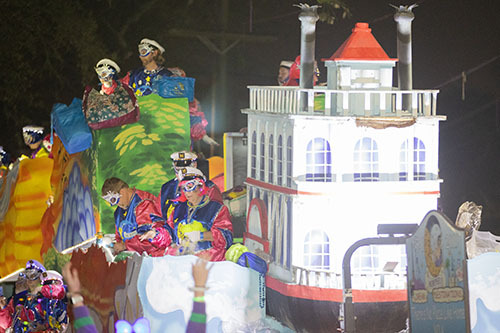 For the Krewe of Muses, the show must go on. 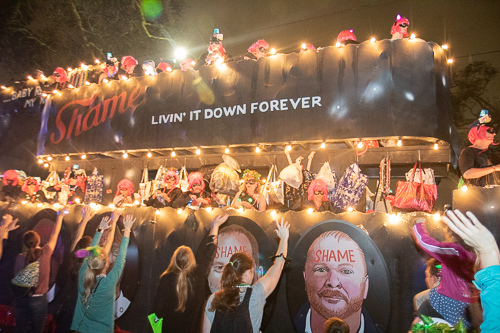 The popular all-female krewe rolled down the Uptown route with the theme “Muses the Musical,” putting the rain threats to shame. 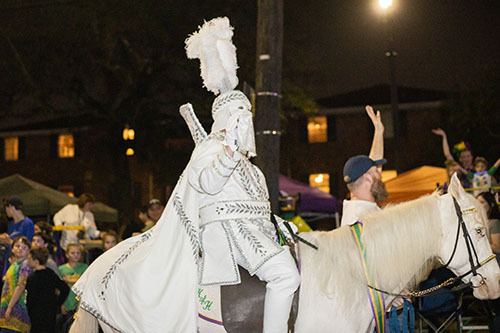 After a two-hour delay because of a steady downpour that canceled the Krewe of Chaos parade, Babylon took to the streets for its 80th anniversary parade. 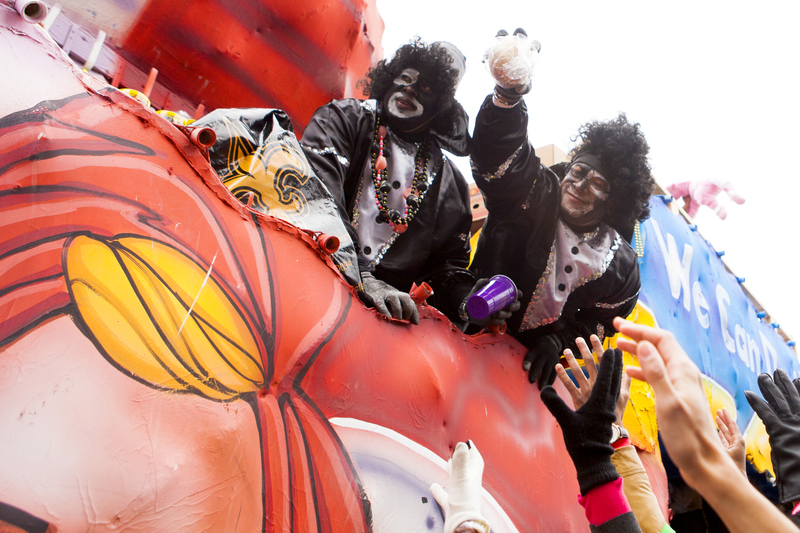 It started in the rain, but the strength of the parade caused the skies to clear.